Masters of Disaster takes you on a journey through a crisis that characterizes today’s information age. 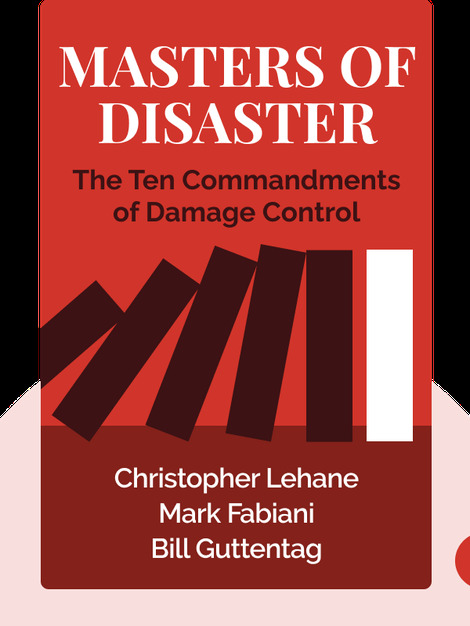 Drawing on damage control operations, the authors have developed the ten commandments to help any politician, celebrity or company avoid scandal and a tarnished reputation. Bill Guttentag is an Oscar winning director of numerous programs for TV networks including ABC and HBO, and documentaries including Nanking and Soundtrack. He is also a lecturer at the Graduate School of Stanford University. 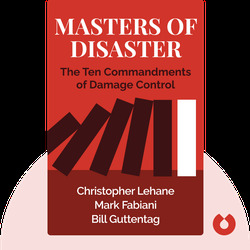 Christopher Lehane and Mark Fabiani are damage control experts who have worked for various high-level individuals and companies, including Bill Clinton. They both graduated from Harvard Law School and specialize in the art of damage control.